At the Transformational Pastor’s Gathering this week, I led a breakout discussion on experiencing your community. 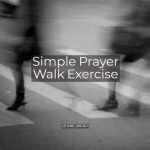 One way to experience your community and discern it’s needs is to prayer walk. A few asked me for some resources about prayer walking. Some thought the term referred to walking the Labyrinth as an exercise in personal spirituality, but I refer to something completely different. Prayer walking is walking and praying around your neighborhood. David Fitch writes 10 ways of looking for the poor in your area. This is a great article to help you observe where you are. He demonstrates the fruit of his prayer walking where he lives. As we have been looking at houses, praying over the neighborhoods, seeking where we might buy a house, I have walked the neighborhoods trying to open my eyes to where mission could be engaged. I find the suburbs difficult for mission. The poor are so hard to find. Yet as I walked and prayed, I found my imagination stoked by the Spirit. Mission was all around the rhythms of this place. The poor could be found. Here are ten missional places I noticed . .. . . . In 3 Keys To Church Growth — Case Study, I write about a church that takes the work of prayer very seriously and they are seeing plenty of conversion growth because of it. A church will not grow without the labor of prayer. 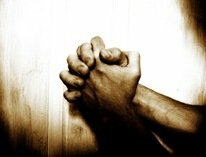 Meanwhile, check out the articles in 10 Practical Ways Of Sharing Your Faith, that include several articles on Evangelismcoach.org about prayer.